Recently we designed and hosted a half-day Future Food workshop. 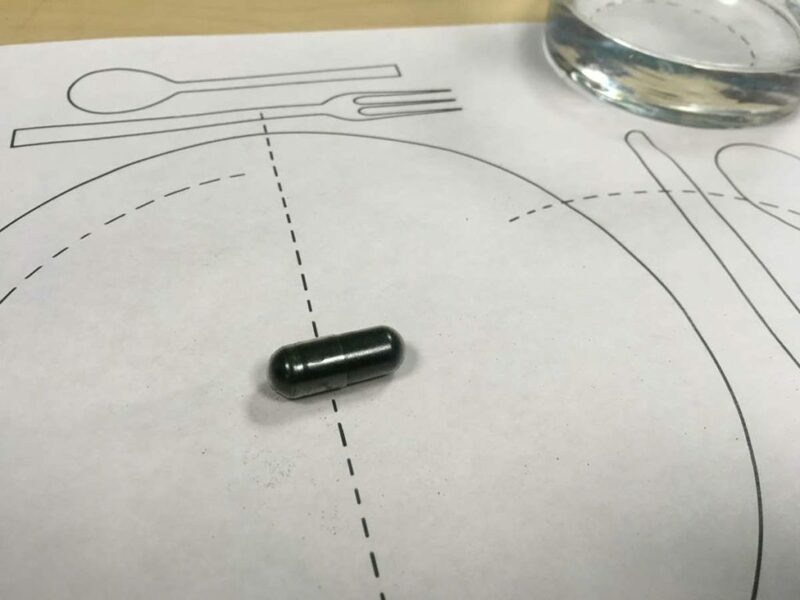 We imagined a family dinner of the future where guests receive a glass with a controlled portion of water, just enough to swallow their lunch in tablet form. Because so much of our culture revolves around eating and the rituals surrounding it, future humans will have to find ways to replace the tactile, convivial elements that will be lost. Our new project S.Eat. emulates the dining experience: guests will hear the slurps of another person enjoying their spaghetti, watch archival videos of people eating from the human-eating era and smell the basil pesto by spritzing perfume. This experience reaches for the joy of eating and yet as we know, can never replace a hot bowl of spaghetti. Welcome to the future – let’s eat!